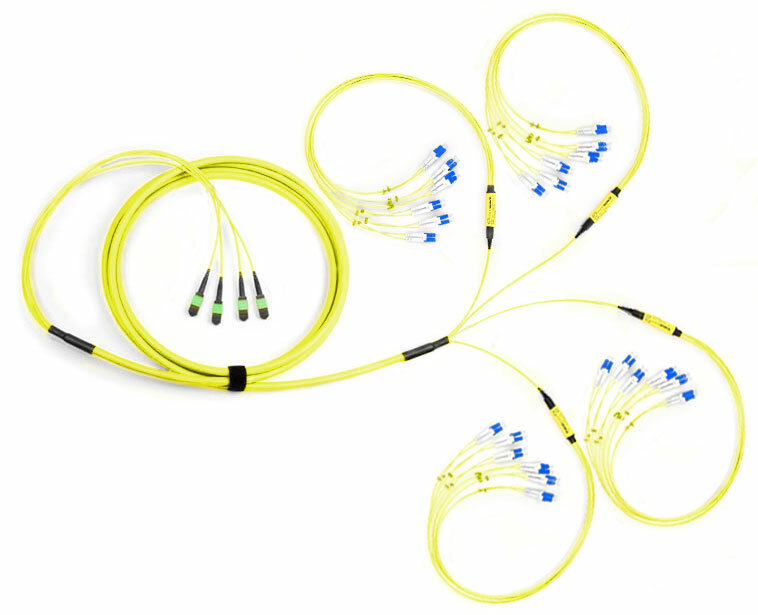 For a solution to meet even the toughest demands for your telecommunications or data center applications, choose the MTP-LC, Singlemode OS2, 48-Strand Fiber Optic Cable. This cable affords you significant space conservation, as well as substantial return loss reduction from other standard connectors. In terms of space, the MTP® brand connector is the cable you need if your telecommunications room has limited capacity. 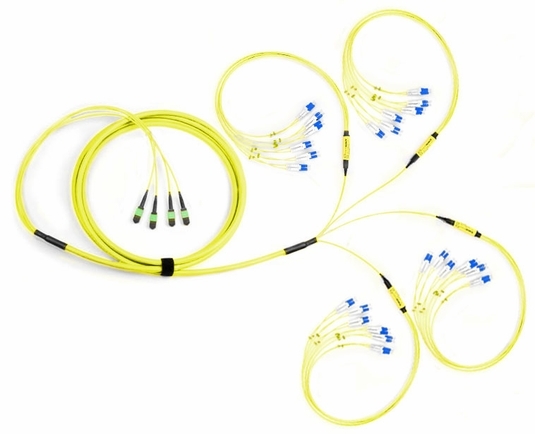 This cable has four female MTP brand MPO-style connectors, each containing 12 fibers, which fan out to 48 LC connectors in duplex configuration. The LC connector, much like the MTP brand connector, is highly favored for its performance and space-saving capabilities. 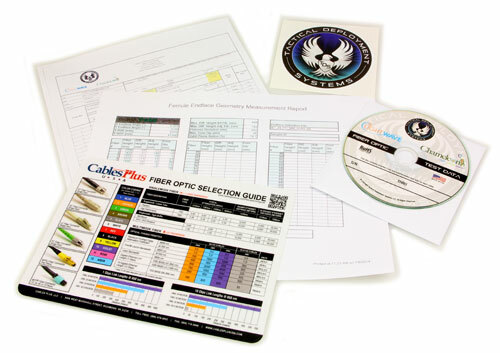 Using OS2 singlemode fiber, you can transmit data over a 9/125 micron glass fiber 1Gbps link a distance of up to 10,000 meters at a wavelength of 1310nm. For a 10Gbps link, you can transfer data a distance of up to 5,000 meters at 1310nm or up to 30,000 meters at 1550nm. 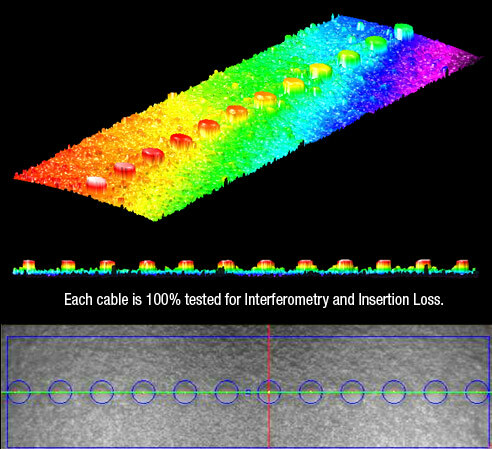 All LightWave cables are manufactured at our Richmond, VA facility, and every cable is tested for interferometry and insertion loss to ensure that it meets industry standards. The MTP brand connector gives you flexibility you simply won’t find in other generic MPO connectors. The MTP® connector offers you the stability and optimal performance you want in a fiber optic connector with features, such as improved spring design, that maximizes ribbon clearance for 12-fiber and multifiber ribbon applications in an effort to prevent fiber damage.